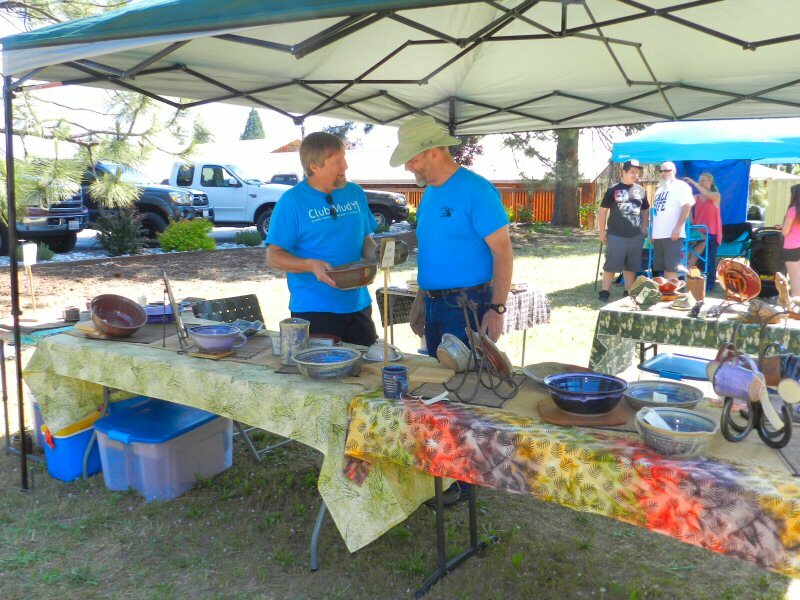 Six local vendors displayed their creations at The Rotary Club of Burney-Fall River Mills’ 4th Annual Fine Art and Crafts Show behind US Bank on Saturday from 9 a.m. to 3.p.m.. The show was organized by Rotary member Andrew Urlie. Booths displayed a variety of crafts and a face-painting booth for kids. Crafts displayed included wood work, metal work, pottery, Native American jewelry, and other items crafted from natural products. 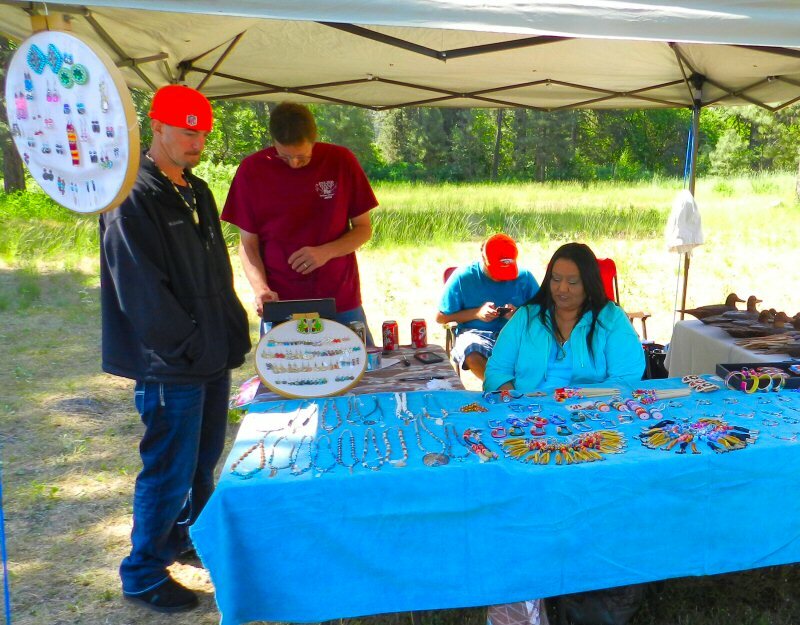 Pauline Ludwick, a Navaho artist, had a beautiful display of hand-made jewelry and other items. 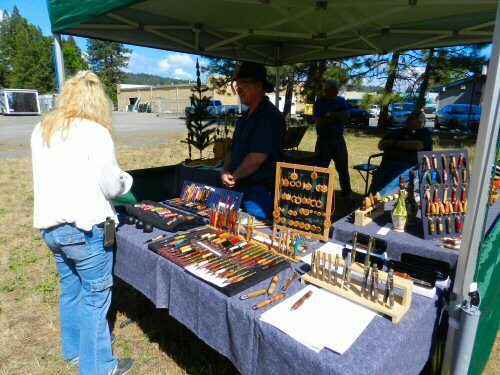 Keith and Kevin McKay from Cassel were back again this year with their fascinating array of items made from natural products such as wood, stone, and pinecones. Their pens, hand-crafted from horse and bear manure are always a favorite. 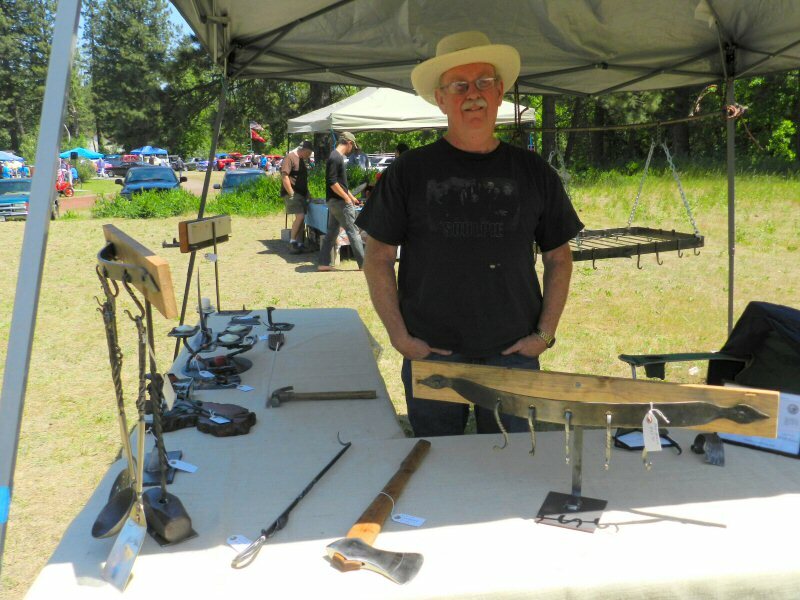 This year, blacksmith Jim Brimble from Rawhide Forge in Palo Cedro came to show some of his metalwork. Jim had a wonderful display of forged ironwork. He also is willing to design and forge individual pieces for clients who desire heirloom quality hardware and sculptures for their homes. You can contact Jim directly if you are interested at jimbrimble3@gmail.com. 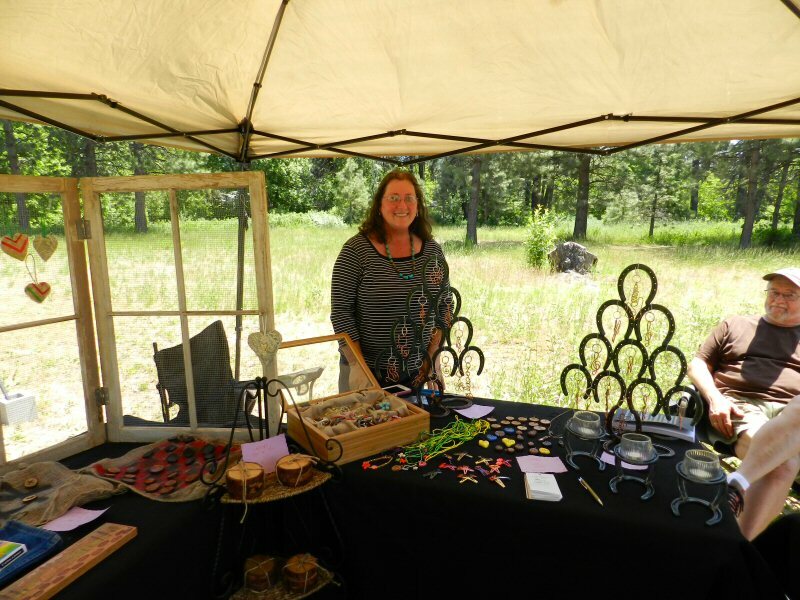 Ilene Emry from Shasta Lake also came up to show the work of Emry Creations. They had a variety of jewelry and decorative items made from metal and wood including copper wire jewelry and candle holders made from horseshoes.